By the time you are all reading this, E3 will be in full swing. 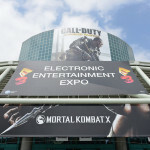 Admittedly this year’s E3 seemed to go by without any major surprises, especially after a tumultuous E3 2013. But still there were key moments that highlighted what I am looking forward to this year. The big five conferences (well, four, plus one Direct video) had their own ups and downs, and I am going to go over each and every one of them as they happened, and give each a letter grade of my final impression. Please take note that I am doing each of these conferences in order of when they were shown. There is no bias of fanboyism shown in the order at all. Microsoft was in a tough situation after last year’s Xbox One launch. 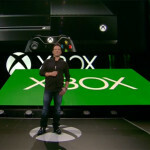 But one year later, with no DRM, a new head in Phil Spencer, and a new $400 price tag on the store shelves, their “Game On” conference would be just about that, nothing but games. And in doing that, Microsoft played it safe. No talk of TV, Kinect (aside from announcements of Fantasia and Dance Central Spotlight) or media apps of any kind, all games. Highlight exclusives for me include Sunset Overdrive, whose trailer started with a hilarious dig on Battlefield and other “cover based shooters” coming out this year, as well as Phantom Dust, Fable Legends, a new cloud-based Crackdown, and Forza Horizon 2. Games announced for 2015, in addition to Crackdown and Halo 5: Guardians also included a surprise in the form of Rise of the Tomb Raider, which I hope is as amazing as last year’s reboot, and a new Xbox One exclusive IP from Platinum Games called Scalebound. Granted the reveal was just a CGI teaser, but if the game itself is any indication, I can’t wait! Some DLC surprises made a available right at the start of the conference include the free Nurburgring track for Forza Motorsport 5, and a Capcom love letter for Dead Rising 3 called, I’m not kidding, Super Ultra Dead Rising 3 Arcade Remix Hyper Edition DX Plus Alpha! Not only was that tough to type here, but it looked so insane that I might want to get Dead Rising 3 again to play it. But perhaps the biggest highlight that Microsoft unveiled is something I didn’t think would get such a positive reaction: The Halo Master Chief Collection. This is a compilation that includes Halo 1 Anniversary, Halo 2 Anniversary, Halo 3, AND Halo 4 with all of the stages unlocked right out of the box and playlists can be made of over 100 multiplayer maps (carried over from all four games) all running at 1080p and 60 frames per second. I usually am nonplus about remaster compilations, but I will gladly get this one come November. In all, Microsoft had a pretty solid press conference. There wasn’t any major surprise or anything that would provide a killer blow (such as an Xbox exclusive Fallout 4) but they provided the games, and that’s what we all want, right? Well, we’ll see about that. But on a side note, when former Sony president Jack Tretton gives your conference an A, you know you’re doing something right. This was a hard one for me to watch. Not because it had terrible games, but because it was so dry. Starting off with a video announcing a 2015 launch of Star Wars Battlefront, we then see Dragon Age: Inquisition (which followed up on the Microsoft presser, and actually looks good compared to Dragon Age 2.) Mass Effect 4 concepts are shown, which I’ll look forward too, and then footage of Sims 4 with a September 2nd release date. Next was a nice little feature about the work on Mirror’s Edge 2, a game I have been looking forward to since the first sign last E3. I loved the first game, even though the combat mechanics could have used some work. If they can fix that I will be hooked. But then the conference ended with the obligatory Battlefield release, or in this case, Battlefield Hardline. As if another modern warfare shooter wasn’t enough, they made this more of a cops and robbers type game. Not going to be enough to win me over after the debacle that was Battlefield 4. OVERALL RATING: D I’m sorry, EA. Your conference was slow and nearly put me to sleep several times. Try harder next year. My initial problems with Ubisoft resolved after the Microsoft conference, I admit that Ubisoft’s conference had some life to it and there were some games that really interested me. Starting off with gameplay footage of Far Cry 4 (the first 5 minutes of it in fact) that looked amazing. More footage from Just Dance 2015, including an app called Just Dance Now came next, as well as more from The Division. The Crew now has a November 11th launch date with a July 23rd closed beta, followed by more Assassin’s Creed: Unity gameplay showing off the 4 player co-op and open world French Revolution action due out on October 28th. Next came a new Xbox One Kinect fitness game called Shape Up, which I’m guessing is the successor to the Your Shape series, but with more games including a DDR style rhythm minigame. Next was an animated trailer for a WW1 based adventure called Valiant Hearts: The Great War which for some reason made me feel like it was animated by The Behemoth with its unique art style. But it was the final “one more thing” announcement that shocked me and everyone else…Rainbow Six: Siege! A 5 vs. 5 multiplayer tactical shooter that brings back elements of the original games. While it is in very early alpha stages, I want to play this game now! OVERALL RATING: B- Compared to EA’s slow and lifeless conference, Ubisoft’s was quite entertaining, and I will give them a lot of credit for their upcoming releases. Bring them here now. 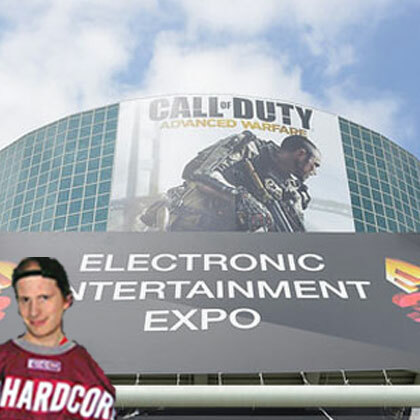 Sony’s conference is very conflicting for me. Last year they made it known to everyone that they were only for the gamers with all the promises they made about the PS4 allowing used games with no internet check in and how they would not bundle the PlayStation Camera. But this year, it’s a completely different story, which I will get to later. Exclusives include DLC for Infamous Second Son (called First Light,) Bloodborne (the former Project Beast,) The Order: 1886, LittleBigPlanet 3, Entwined, a remastered Last of Us, and a new trailer for Uncharted 4 that ended the conference. 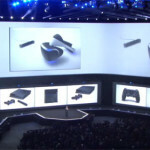 In addition, a North American beta for PlayStation Now has been announced for next month, as well as the unveiling of the former Vita TV, now called PlayStation TV, a streaming box that allows play of PS4 on other televisions via Remote Play, as well as select PS Vita games, PSP and PS1 games, and PS3 games via PlayStation Now. The device will be $99 at launch, but will also be available as a $139 bundle including a Dual Shock 3, HDMI cable, 8 GB memory card, and a voucher for LEGO Movie: The Video Game. Now while there was a lot of stuff here that sounded quite impressive for PS4 owners, there are a few elements that made me very angry after watching this conference. Sony spent about 20 minutes talking about meaningless information like how many times the share button was pressed, the addition of new apps (such as YouTube,) and new television programs such as Powers, all receiving positive feedback from the crowd and the press. I don’t get it. When Microsoft did the same thing these past few E3s they are criticized for it, but because it’s Sony they get a pass? I’m not trying to be fanboyish in asking this, but doesn’t anyone see anything wrong? OVERALL RATING: C I wonder how Jack Tretton would have rated this conference, but for me, it’s going to be lower. Again this year, Nintendo did not do a normal press conference, but rather a video montage. 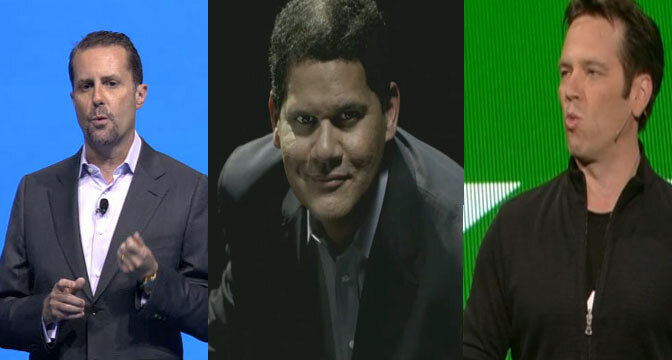 Thankfully this year it was Reggie who led the video, instead of Satoru “Please Understand” Iwata. I’m not going to lie in saying this, but Nintendo featured a lot of impressive first party titles, and that’s what they specialize in. They need to, because with the Wii U not selling so well and third party support being virtually nonexistent, first party is how Nintendo can survive. Newly announced titles include a new StarFox and Legend of Zelda for Wii U, Yoshi’s Wooly World, Captain Toad: Treasure Tracker and Mario Party 10, as well as a new IP called Splatoon that looks quite fun. Plus, Mario Maker would be something that I would spend a lot of time playing, creating new stages to be played on the original SMB setting or the more recent New Super Mario Bros. U environment. Bayonetta 2 will finally be released this year, and in a smart move, will include the first Bayonetta with the usual Nintendo additions to it as a single disc. I know Nintendo fans will love to play that when it’s released. A majority of the games announced have a 2015 release date. Even the former X, now called Xenoblade Chronicles X, which last year had a 2014 release date, is now listed as just “2015.” Nintendo cannot survive much longer if they are going to push key releases back year after year. They need to have them out now. Smash Bros. and Mario Kart 8 will only go so far, and people are going to want more. OVERALL RATING: B- If more of these games had 2014 launch dates, I could easily have said they won this year’s E3. But sadly, that’s not the case. They came close, but lose due to delay of game. 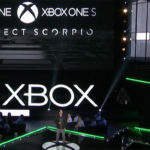 This was a rather weak showing at E3, but if I had to pick a winner, and it is by a very slim margin, it would be Microsoft for admitting to their past failures and knowing that E3 and Xbox are about the games. 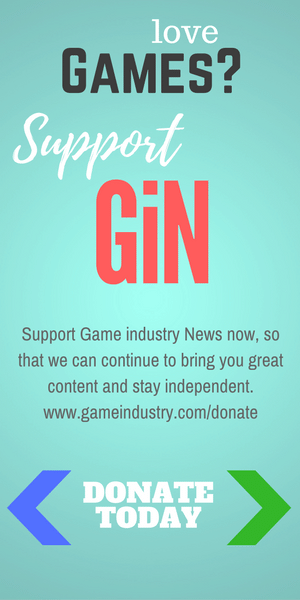 But now, let the games come to us and we’ll see how they turn out!